The pricing of cannabis has taken a giant leap forward. Cannabis now has a foothold in the more sophisticated world of financial instrument pricing and analytics on a par with other listed financial instruments traded on global exchanges. With the introduction today of Cannabis Benchmarks, people in the cannabis industry, as well as investors and other financial professionals now have a serious source of more detailing real-time, cannabis pricing for the U.S. market that was never available before. Using the GlobalView electronic pricing analytic and display platform, those interested in seeing a variety of cannabis pricing from different sources now have the tools to make more sophisticated analytical financial decisions using a benchmark pricing source that will eventually culminate into a longer-term price database. GlobalView, an internationally-established leader in commodity data aggregation, distribution and analytics, has created a sophisticated display that has access to over 60 sources of data that affect agricultural production and commodity pricing. In the brand new area of cannabis pricing, New Leaf Data Services (which owns Cannabis Benchmarks) has created a pricing aggregation and display system, accessible via a customizable dashboard, that will allow a whole new audience of investors, traders and financial professionals to access price data on current and future price trends (using volume average pricing). Using news sets of financial data, those interested in using cannabis price data into their other trading and financial analytics and make more intelligent, fact-based decisions. Hedgers: The new service allows traders to make price comparisons between cannabis and listed commodities to create correlation studies and if warranted, create trading algorithms. This same data can be used to make more informed hedging decisions. Investors: Data comparisons will show the best state locations, types of growing facilities and price trends that will be beneficial to making intelligent investing decisions using verifiable data. This data can be used to determine yield per acre on cannabis and other crop, such as soybeans or corn. Cannabis Growers: Using the data, growers can make comparisons between prices in states and whether it is grown indoors or outdoors. The system allows growers to make comparisons between prices in different states growing environments and over different time periods. 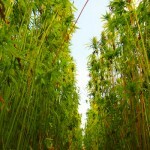 The company also said that industrial; hemp data will be incorporated into the data set later this year. Experienced traders and other financial professionals will have a very short learning curve when they open the cannabis Benchmarks dashboard. What they will see will allow them to make more informed investment decisions for expansion plans; build actuarial tables for determining crop insurance premiums; determine future price streams that will make it easier to evaluate various investment opportunities; make financial comparisons to optimize portfolios and manage risk in the cannabis sector; and provide a new price input for futures traders looking to incorporate another commodity price data set into their spreading and proprietary trading algorithms. The introduction of Cannabis Benchmarks is a significant advance for the expanding legal cannabis industry. Since some 23 states today have now decriminalized recreational and medicinal cannabis to various degrees, with more states slated to decriminalize in 2016, the introduction of this sophisticated pricing database marks a new level of sophistication for the cannabis industry. 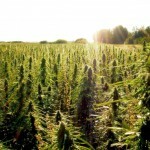 “The introduction of cannabis price data into our MarketView product suite is unprecedented and demonstrates that cannabis is becoming a viable alternative for traditional commercial farmers facing the millennia-old question of crop switching and rotation,” said Charles Trauger, Global Director of Agriculture at GlobalView. In addition, new medical and pharmaceutical research is being made public on a monthly basis that shows medical cannabis and its active ingredient CBD (cannabinoid), have demonstrated medical benefits for a variety of ailments. 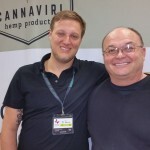 The introduction of cannabis as a commodity on an institutional platform will eventually allow for global trade and by default advance better quality product for medical benefits as players compete for market share. This is truly a historic day for cannabis.